Chess enthusiasts like to question, review and perfect almost every aspect of the game. Analysts seek the strongest move; composers take pains to construct positions devoid of surplus units or dual variations; administrators meet to thrash out foolproof definitions of technical terms and ideal formulations of obscure rules or pairing systems. World champions advocate changes to complicate play or dispense with the need for book knowledge. The one conspicuous exception, where perfection is seldom a goal, is the game’s literature and, in particular, its history. Precious little scholarly stuff gets onto the page, and it is hardly surprising that nowadays Mr Keene is the king of a thousand clearance sales. By the very act of writing an author in effect sets himself up as an authority, yet all too many are content for nearly anything to be printed under their names, especially regarding chess history. It is as though all writers, no matter how unenlightened about the game’s past, feel licensed – compelled, even – to indulge in historical name-dropping, under the delusion that their output will gain prestige from occasional references, however shallow or fallacious, to the old-timers. Some writers even vaunt their lack of education. In an interview published in the 8/1996 New in Chess, David Norwood declared, ‘I’ve written more books than I have read on chess’. For convenience, two categories of books with historical content may be defined: Category A, comprising works on academic or theoretical history, and Category B, composed of books in which history has a practical or utilitarian application. Category A thus includes investigations into the archaeological origins of chess, tournament and match statistics, and bibliographies. Regardless of the intrinsic interest, study of such matters will improve nobody’s Elo rating. These books are usually written by, and tailored for, the ‘pure historian’ and are researched properly, published privately and distributed prosaically. Gaps, however small, in our knowledge are filled, often definitively, by unsung heroes like John van Manen, who has produced fine catalogues of Australian chess literature and competitions. As a rule, books in Category A have a high proportion of novel information, one reason being that the readership is a relatively exacting one which expects something unobtainable elsewhere. The problem is that titles may sell as few as 200 copies. In the much wider Category B, the heritage is, or should be, used for didactic purposes (in relation to over-the-board play, compositions, etc.). Ideally, chess history and chess praxis will go hand-in-hand, popularizing each other. Although the historical content may be central to the book’s thesis (e.g. Chess from Morphy to Botwinnik by Imre König and Dynamic Chess by R.N. Coles), it is more likely to be incidental (as in The Golden Dozen by Irving Chernev, which uses the past essentially for entertainment, without historical perspective). Most Category B books show fewer signs of authorial exertion than Category A works, and it sometimes seems that the more effort an author puts into a book, the fewer readers he will attract. The writer who compiled an anthology of a given master’s games would reach the top of Category B if he undertook a detailed work of annotation and biography, but the forbidding size, look and price of the masterpiece would certainly occasion lower sales than for a sketchy 100-pager (nadir of Category B) on that master’s best-known combinations. An historian/archivist of the calibre of Jeremy Gaige, whose books (e.g. Chess Personalia A Biobibliography) belong exclusively to Category A, will never sell as well as, say, Bruce Pandolfini (whose inconsequential works have claimed that he has ‘100,000 books in print’), but it would be simple justice if top Category B writers, at least, achieved far higher print-runs. The peak of Category A and the bottom of Category B are the extremes of our scale; just as a Gaige would not write One-Move Chess by the Champions or Chessercizes, so a Pandolfini would be unlikely to do a biobibliography. On the other hand, some lower-rung Category B writers produced, once upon a time, material of substance. Fred Reinfeld did some good books in the 1930s. The young Larry Evans worked hard on self-published monographs of minority interest, giving no indication of how he would end up. Writers may legitimately be expected to improve with age, as their judgment matures and their libraries expand, but many career curves go in the opposite direction. The road downmarket is a congested one. Category A works repose in their own little sanctum, and people’s acquaintance with history usually comes from reading lower Category B books. The élite of Category B is, in a sense, the most important type of literature, creating a bridge between ‘minority interest’ learning and ‘popular’ books. An outstanding example is John S. Hilbert’s Napier The Forgotten Chessmaster. There remains, nevertheless, an unfortunate blockage which prevents the knowledge contained in upper Category B books (and, a fortiori, Category A ones) from filtering downstream. Whatever decent research is carried out, the overall quality of history in the most widely-read books barely improves, with little trace of any trickle-down effect. Many inferior works dominate bookstore shelves, leaving most chess aficionados almost unaware of the existence of Category A or, even, the more respectable end of Category B. Prospective purchasers have far less choice than might be thought. The mere quantity of books published does not ensure a wide range of reading matter, any more than the availability of two dozen look-alike television channels guarantees varied viewing. 1. They make statements that are inaccurate or ill-informed. 2. They write accurately enough, but only because the material is common knowledge, i.e. information which has already been worked to death in other Category B books. 3. They disguise ignorance of chess history by space-filling, often anecdotal. 4. They dispense with facts and volunteer interpretations and opinions. The most improbable individuals deem themselves qualified to round up the usual scores for a games collection. In 1996 Eric Schiller came out with a volume on Rudolf Spielmann. ‘Rudolf’ appeared on the front cover, but elsewhere (including the title page and back cover) the name was misspelt ‘Rudolph’. Moderately energetic writers lacking a sense of shame could cobble together such books until doomsday, and it is extraordinary what publishers will agree to put between covers. Chris Ward bit the dust with The Genius of Paul Morphy, which, for example, has this description of 4…d5 against the Evans Gambit (page 59): ‘Presumably then this was a trendy riposte at the time, but it hasn’t had so much as a look-in for ages’. Tousled prose often accompanies indifference to academia, and it is no surprise to find Mr Ward passing over the work of Morphy scholars such as David Lawson (though page 99 does refer to somebody called ‘Dawson’). ‘I have never really been a historian’, he divulges on page 7, in case we had missed the point. Inaccuracy is astoundingly rampant, and the genesis of some errors defies explanation. Julian Hodgson’s Chess Traveller’s Quiz Book descended into errancy as early as its second position, on page 3 (a dozen years out regarding a Réti v Tartakower game, one of the most famous ever played). And doesn’t everybody also know that the venue of the 1852 ‘Evergreen Game’ between Anderssen and Dufresne was Berlin? Eric Schiller doesn’t. On the first page of positions in The Big Book of Combinations he wrote ‘unknown’. Naturally the ensuing pages continued in the same vein. In his error-sodden book World Champion Openings Mr Schiller refers (page 13) to ‘Emil Zukertort’, just like Emil Zatopek. Six lines later, Gunsberg’s forename is misspelled. So is his surname. Two lines after that, it is wrongly claimed regarding Steinitz, ‘in 1892 he ran into Lasker’. The book’s introduction includes the 1860s as Morphy’s ‘heyday’, yet even Chris Ward is aware that by then Morphy had withdrawn from serious play. Mr Schiller is no more at home with the moderns. Page 21 has the wrong year of death for Botvinnik, while on pages 50 and 368 we learn about the game ‘Unzicker v Tal, Hamburg, 1996’. Tal died in 1992. A biographical note in World Champion Openings states that Mr Schiller ‘is the author of 71 chess books’, but does not explain the furor scribendi. The common-sense rule here is: never trust any writer who has counted, and brags about, his output. Time and again Category B books make do, for safety’s sake, with repeating historical common knowledge, or what is believed to be such on the say-so of a 1950s potboiler cheaply reprinted by Dover. A hundred pseudo-historical tomes can be read without finding anything about, for instance, Janowsky beyond a handful of tried-and-true games, biographical clichés and ignorant derision. Authors reel off loose-change information, perhaps mistily recalled from their voracious teenage reading and certainly never verified or updated, despite the obvious need to keep abreast of the latest discoveries, just as a master must be acquainted with the most recent opening theory. A peculiar kind of arrogance is required for a writer to think that his own name on the cover is enough to justify publication of a book, even if it contains nothing worthwhile or new. Those who write may be masters, historians or hacks, but in any eventuality the historical material presented usually relies on platitudes, anecdotal trivia, over-familiar quotes and other routine skimmings. 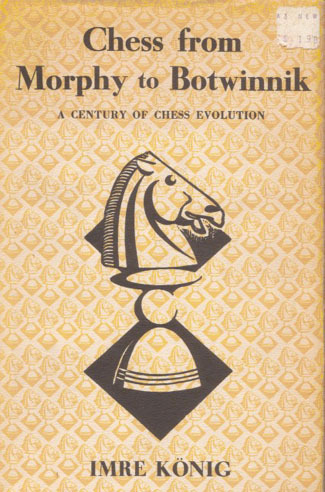 Writers have a mysterious passion for the well-worn: the same Morphy opera miniature against the Duke and Count (which Pandolfini even rehashed in his Solitaire Chess column in the January 1998 Chess Life); the same Bogoljubow versus Alekhine brilliancy from Hastings, 1922, without a scrap of original analysis; the same facts (or non-facts) about the legendary figures of the game; and, above all, the same errors, mindlessly copied from one writer to the next. Mistakes and tittle-tattle have a gift for getting themselves duplicated that straightforward facts somehow lack. The uncaring see no need to have their work checked by a competent authority. That would certainly have been a task and a half in the case of Impact of Genius by R.E. Fauber, and we can only wonder how it ever came to be published. The same applies to Learn Chess from the World Champions: Kasparov-Anand 1995 by Bjarke Kristensen and Don Maddox, which begins with a deplorable run-through of world championship history that repeats numerous inaccuracies by its equally blithe predecessors. Straightforward dates stand no chance. Page 19 reports that Tal’s death was in 1994; two pages later we are told that Petrosian died in 1993 (instead of 1984). Page 26 discloses that Kasparov challenged for the world championship in 1974. Mr Maddox used to be the editor of Chess Life. For those unskilled in coping with facts an equally convenient alternative is to pack half a page anecdotally, e.g. by citing the list of obscure words learnt by Pillsbury as a memory test, as if such ‘human interest’ material were a substitute for proper history. More or less identical restaurant stories have illustrated ad nauseam the purported absent-mindedness of Paulsen, Lasker and Rubinstein, and few worry whether there is truth in the tales or in their underlying point, if any. There are, however, encouraging signs that the anecdotal school of chess history, the curse of Category B books for decades, is being jeered into regression, if not extinction. Another substitute for facts is interpretation or speculation. Here we have authors who feel entitled to opine that Alekhine dodged Capablanca, that Capablanca dodged Alekhine, that each dodged the other or that neither dodged either, all without any hint of thought, let alone investigation. It is extraordinary how the unschooled manage to reduce complex issues to facile certainties. The writer who confesses that he is ‘not good at attention to detail’ (see page 17 of the November 1990 CHESS for that stark, though redundant, admission by the Weekend Wordspinner) is like a pianist who admits to being tone deaf. Broad sweeps are valueless. Unless an author has explored his terrain thoroughly, how will he be reasonably sure that his central thesis cannot be overturned? Facts count. Tentative theorizing may have a minor role once research paths have been exhausted but, as a general principle, rumour and guesswork, those tawdry journalistic mainstays, have no place in historical writing of any kind. Even works with certain scholastic pretensions tend to lack corroborative footnotes and bibliographical references. Sources are considered to be frills; the writings of Andrew Soltis, for instance, optimistically expect the reader to take almost everything on trust. Primary sources (notably old magazines and tournament books) are commonly disregarded, but so too are in-print books of quality. An author’s failure to consult proper, standard sources may be revealed by details which are, of themselves, minor. 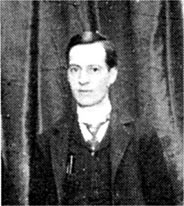 On pages 124-126 of Modern Chess Miniatures Neil McDonald gave the game Capablanca v Chase, New York, 1922 and wrote: ‘History has not been kind to Mr Chase. We know almost nothing about him, not even his initials.’ Note that coercive ‘we’, as if no reader could possibly have more information than Mr McDonald. Heaven forbid that the latter should have taken the trouble to inspect the American Chess Bulletin of the time, but even The Unknown Capablanca, a top-notch Category B work, would have given him the allegedly elusive initial. For some reason, David Hooper and Dale Brandreth’s book, originally published by Batsford in 1975, has frequently been ignored, even by that publisher’s own chess adviser, Raymond Keene. On page 28 of the July 1988 CHESS he referred to a game ‘Capablanca v Ribeiras 1935’ and indicated that he did not know the occasion on which it was played. All necessary particulars, including the correct spelling Ribera, are on pages 97-98 of The Unknown Capablanca. Newcomers to chess should quickly realize that even basic archival and statistical information is sparse. Sports such as tennis, golf, baseball and cricket offer their devotees a mass of data in readily available publications, but chess does not. Even today’s leading masters are less well represented in book form than was the case a couple of decades ago. In the 1970s there were several ‘complete’ collections of Karpov’s games, but no such volume has covered Kasparov’s career, apart from a 1983 book from Batsford misleadingly entitled My Games. One world championship challenger, Gunsberg, has yet to be the subject of any monograph at all. Instead, we are swamped by books on openings, the category least interested in the game’s heritage and one which pays only fleeting attention even to pre-1960s chess, i.e. the period before the Informants became available as a convenient research prop. Historical ignorance of the openings is rampant, with writers regularly analysing from scratch positions already meticulously examined in the past. Openings books featuring proper historical delving are a rarity (the work of such luminaries as W. John Lutes and Hugh Myers being the exception), and it cannot be salutary for chess literature that there is so much (unhistorical) concentration on the most ephemeral phase of the game. Books are written about the Trompowsky Opening by people who cannot spell Trompowsky. Category B volumes have customarily been published by the large companies (fewer of which are now interested in chess) and are geared towards the mass market, which is believed to mean those preoccupied with scoring more points. Unrealistic promises of increased playing strength are rife in titles and promotional literature, and these are gullibly repeated by so-called reviewers. Vulgarity is the fashion, and such mellifluous titles as Opening Zaps to Cream Gazza in 20 Moves with! may soon descend upon us. An unhealthy proportion of lower Category B books have gaudy front covers and jokey titles, the unflattering, if inadvertent, message being, ‘Chess is a dull game, you are a dull reader, so here is a simple, jolly book just for you’. To reinforce the impression of insouciant expertise, the authors may well strive for (flippant) humour, normally with results about as funny as a sinus wash. The physical quality of books is not rising, and sturdy hardbacks of the kind that G. Bell & Sons offered until the mid-1970s are nowadays a rarity, although McFarland & Company, Inc. brings out a few. Standard books are often shorter than before, without, of course, any commensurate reduction in the cost. The April 1998 BCM (page 197) announces that it is selling a new openings paperback, all 128 pages of it, at £14.50 (over $24), which its review calls ‘a very reasonable price’. There is no mystery to this. The book is by Graham Burgess, who happens to be a member of the publisher’s editorial team, which happens to include Murray Chandler, who happens to be the editor of the BCM. This is just a routine part of the United Kingdom’s injurious coterie of chess writers, editors and publishers. Caveat emptor. More generally, publishers should coax writers into giving their all and shun individuals who have no all to give. Instead, editorial rigour and scrutiny are manifestly in decline. Contracts are doled out to the most implausible people, on occasions seemingly in bundles. Desk-top production gives increased autonomy to those who do not want to be left out, even if they have nothing to communicate. The upshot of all this is that a moderately competent chess enthusiast can pick off historical howlers within minutes of opening almost any new book, and, blurb-writers being what they are, sometimes it need not even be opened. The same puny selection of photographs of masters circulates from one book to the next. Proof-reading is a fading art. (Harry Nelson Pillsbury American Chess Champion by Jacques N. Pope is an upper-middle Category B book, much praised by some critics, yet it misspells a) La Stratégie 16 consecutive times on pages 335-338, and b) Wiener Schachzeitung 16 consecutive times on pages 343-346.) Prose quality is in decline, with diminishing concern about grammar and style or the distinction between written and spoken language. Today’s mood favours brash, T-shirt informality (awash with slang, players’ nicknames and exclamation marks), as if chess, intrinsically lacklustre and arcane, needs to borrow from the zingy, gory vernacular of the professional wrestling circuit if readers are to be kept awake. The inadequate monitoring of new chess literature is another problem. The 13th edition of Modern Chess Openings was published at the beginning of the 1990s, yet it is hard to recall any authoritative critique that compared it to earlier editions and to other single-volume openings manuals. The public’s interests were forgotten long ago. Much literature is sold by mail, but the USCF, for instance, barely mentions certain high-quality books and is less than candid about the deficiencies of many that it does endeavour to sell, not to say off-load. Chess Life is just one of many magazines less concerned with serious reviewing than with sales patter. Little wonder that bungling authors can hope to escape scot-free in the crowd. B.H. 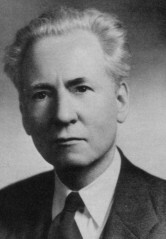 Wood once wrote (January 1951 CHESS, page 81) that a reviewer of a book could rarely spare more than one hour for his job. With today’s rate of book production, he would have to be far quicker now. When poor books appear, few people utter a word of protest, for it takes longer to prepare a diligently negative review than a few bromidic compliments. Censuring a writer for inflicting a feeble or unnecessary book on the chess world may be reckoned bad form, as if unquestioning gratitude were due to all who do our game the honour of writing about it, no matter how unequipped for the task they may be. Eminent film critics have a more fastidious approach: they judge whether a production is a masterpiece and, if it is not, they bluntly explain why. In chess that would appear absurdly rigorous, not to say churlish and pedantic. Writers who devote pages to arguing whether one move is better than another profess astonishment that others care that historical facts should be correct. If that is pedantry then so be it; the important thing is not to be a sloppy pedant like Bernard Cafferty. It should not be imagined that gratitude will be expressed to those who do point out mistakes. Errare humanum est (though it is a question of degree – importance and frequency), but to apologize is apparently superhumanum. A good writer welcomes corrections and seeks an early opportunity to put the record straight, but others are reluctant to amend the record on ‘mere’ historical matters. Perpetrators of such blunders tend also to be the most negligent on topical/political matters, and this double penchant for imprecision makes them all the less inclined to acknowledge error, if only because the embarrassment would be continual. Anyone who has asked the (London) Times or the ever more barbarian BCM to correct their gaffes will know that there are few struggles more uphill. In some areas of chess writing a rare alliance of two skills is called for: playing strength and historical expertise. It is unwise for the ‘non-playing’ historian to publish his own analysis, although he may be a useful compiler. Similarly, players who are unversed in, and indifferent to, chess history should not touch it. They are no doubt equally uninformed about fairy chess, and rightly abstain from lecturing on that subject. But if historians have the knowledge and documentation and players have the expertise in chess praxis, why don’t the two work together? Since no good annotated collection of Steinitz’s games has been published for many a long decade, an historian might wish to repair the omission. Despite having access to almost all surviving scores and being well guided by existing annotations (notably Steinitz’s own, which were excellent), he recognizes that all this would be insufficient to give the modern reader worthy notes. That is a job for a strong master. The obvious solution is for the historian and master to cooperate, an infrequent happening since the master may have little interest in Steinitz’s games, be uninspired by the prospective level of royalties and, understandably, feel apprehension at the scale of the task. More fundamentally, masters and historians inhabit different worlds, rarely even corresponding. The consequences of this partitioning are frequently seen nowadays when publishers bring out algebraic editions of old books without removing elementary mistakes. Another beneficial innovation would be a research association that paid chess history the serious attention that is automatically accorded to other academic domains. Apart from checking manuscripts and coordinating researchers’ work to avert duplication of effort, a chief task would be to index sources, viz. to do for chess openings and general subjects what Gaige has been undertaking for chess personalia and tournaments. Only in this way can rich material from the past be systematically resurrected. 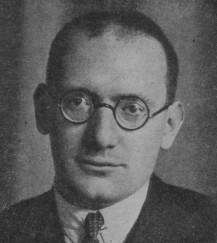 Magazines of the 1920s and 1930s feature many extensive openings articles by that great theoretician Ernst Grünfeld, yet players today are writing about these same variations without any knowledge of Grünfeld’s research and analysis, let alone his life. Such journals also have Tartakower’s sparkling annotations to hundreds of games, but for the present generation it is as though they had never existed. A further essential task is to anthologize all the main games played since chess began, so that there finally exists an exhaustive chronicle. In the early 1980s such a project (the Oxford Encyclopedia of Chess Games) was initiated, unconvincingly, by David Levy and Kevin J. O’Connell and was abandoned before 4,000 scores had been published. In 1993 A.J. 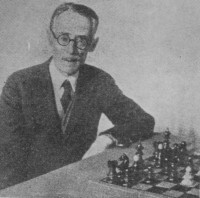 Gillam of the Chess Player assembled in book form 805 games played in 1925, although available informal scores would have added hundreds to that total. What is required is a more profound effort geared towards including every significant game ever recorded, with full indexing of openings, middlegame configurations and endings. It is now possible to find databases with a million or more games, but from the historical standpoint the results have been slapdash with, in any case, a heavy bias towards recent events. Unexposed to scrutiny and unchecked by historians, such material has so far proved inaccurate and incomplete. In the meantime, chess history teeters along from one battering to the next. Despite that, our overview concludes on a note which is optimistic as well as negative. For if low-grade writers sometimes seem to emerge unscathed they do so only temporarily. The supreme judge of chess history, i.e. chess history itself, is unmerciful to dross-merchants. P. Wenman, a sometime champion of Scotland, brought out many books from the 1930s onwards, and, despite his fugacious annotations and general historical laxity, he enjoyed good sales for a while and suffered little admonition. However, by the time he died, in 1972, he had been virtually forgotten, and few, if any, chess magazines even reported his demise. Wenman treated chess history and the chess public with disdain. Eventually, both repaid him in kind. B) Why do so few chess magazines or columnists offer proper book reviews, written by qualified persons (i.e. critics who will warn readers about the ninety per cent and recommend the ten per cent)? C) To what extent are inferior works treated over-indulgently by magazines with a commercial interest in selling the books that they review? D) Doesn’t the present lack of proper literary criticism merely encourage the hacks to continue producing their potboilers?